POLL: iPad 2 Goes On Sale, How Many Of You Are Getting It? iPad 2 is now available in US. For those of you who don’t know, Apple announced the successor to the original iPad, the iPad 2, last week in an event held at the Yerba Buena Center for the Arts in San Francisco. iPad 2 features a Dual-Core CPU which is twice as fast as the original iPad. The new graphics chips are ’9x faster’ too. Impressive, at least on paper. Thickness? 8.8mm. That’s one third thinner than the current model. iPad 2 also features two cameras, one rear and one front facing and the most interesting specification of them all is the availability of the new white iPad. Apple couldn’t get a white iPhone 4 out the door but no such issues with the iPad 2. Now the question is, are you actually planning on getting it? Use the voting system embedded below to let us know! As for me, I have already placed an order online ! 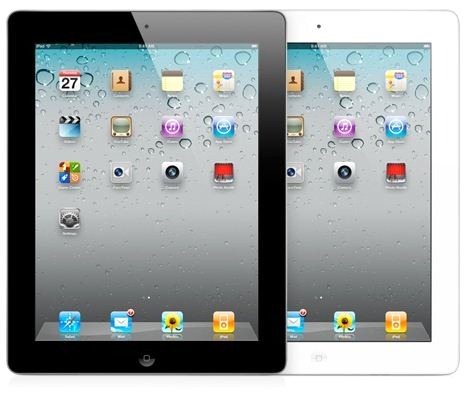 The iPad 2 – Price, Features, Availability – Everything You Need to Know !